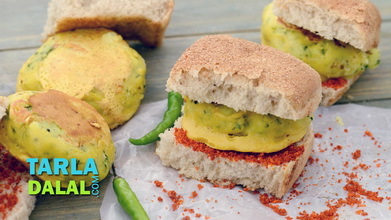 Khasta actually means flaky and this flaky kachori is filled with a delectable moong dal mixture and deep fried. 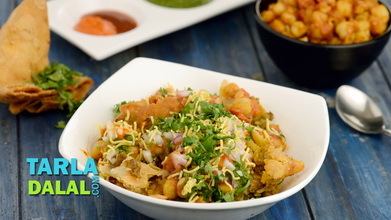 Remember to fry the kachori on a very slow flame so that the crust is crisp and gets cooked on the inside. A perfect kachori is one that is puffed up and flaky outside but hollow inside. 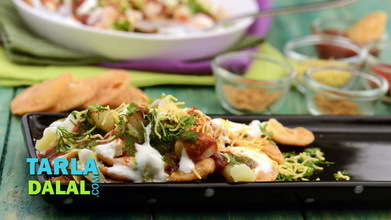 Top them with curds and chutneys to make an irresistible chaat. 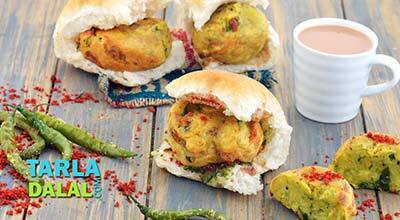 Also these kachoris can be stored in air-tight containers for upto a week. Soaking Time: 2 to 3 hours. Cover the dough with a damp muslin cloth and keep aside for 15 to 20 minutes. 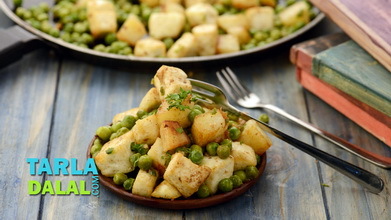 Grind the moong dal in a mixer to a coarse mixture without using any water. Keep aside. 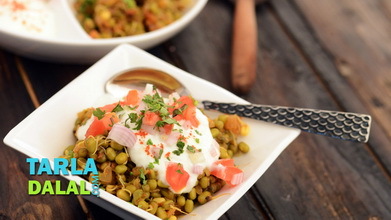 When the seeds crackle add the asafoetida and the yellow moong dal mixture, mix well and cook on a medium flame for a few seconds. 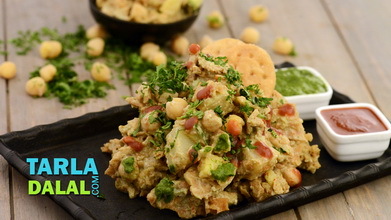 Add the ginger-green chilli paste, dry mango powder , chilli powder, garam masala, salt and besan and cook on a medium flame for 4 to 5 minutes or till the moong dal is lightly browned, while stirring continuously. Cool and divide into 12 equal portions and keep aside. Roll out each portion of the dough into a 75 mm. (3") diameter circle. Place one portion of the moong dal filling in the centre. Bring together all the sides, seal it tightly and remove any excess dough and press it lightly. Roll the filled portion lightly into a 63 mm. (2½") diameter circle, while ensuring that the filling does not spill out. Gently press the center of the kachori with your thumb. Repeat steps 2 to 6 to make 11 more kachoris. Heat the oil in a deep non-stick kadhai on a medium flame and deep-fry, 3 kachoris at a time on a slow flame for 8 minutes, turning them in between till they turn golden brown in colour from all the sides. Repeat steps 8 and 9 to deep-fry 9 more kachoris. 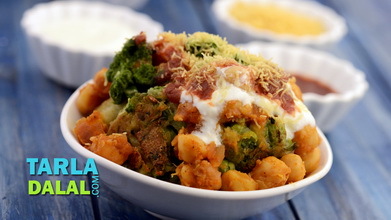 Place 3 kachoris on a serving plate and make a hole in the centre of each kachori. 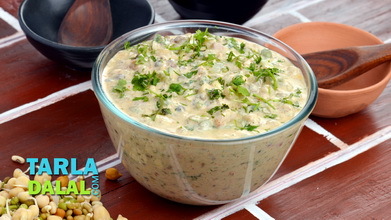 Put ¾ cup of beaten curds, 1 tbsp green chutney and 2 tbsp khajur imli ki chutney evenly over it. Sprinkle little cumin seed powder, chilli powder, and ¼ cup sev evenly over it. Finally garnish it with 1 tbsp coriander evenly on it.